4 Bedroom Semi Detached House For Sale in for £675,000. 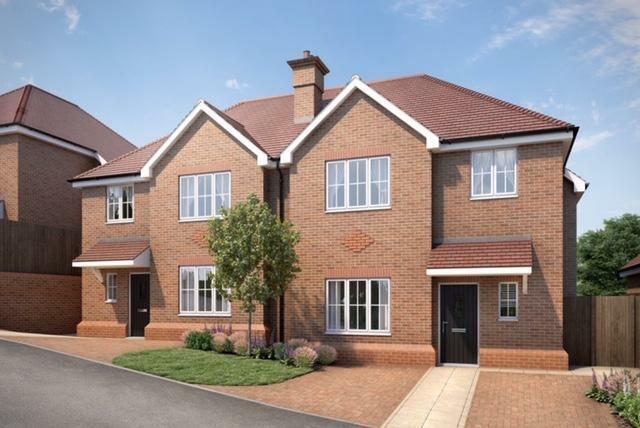 Plot 15 Kingswood Place is a 4 bedroom semi detached home with on-drive parking. It offers a large kitchen / diner with bifold doors onto the garden and a seperate living room. Additionally to the ground floor, there is a utility room and a WC. There are 4 bedrooms to the first floor and two bathrooms, one being an ensuite to the master. "Bespoke German Designer Kitchen, including Siemens oven; combi microwave/oven; induction hob; extractor hood; x2 fridge freezers; dishwasher; Caple wine-cooler.